I really like the format of each podcast and the series as a whole. It's like taking an online university course in Linux. Thank you professors Larry and Tom! My first podcast! Great podcast! This podcast started it all for me! It sets the bar very high for podcasts. If you wanna learn about all things Linux this podcast is a great one! An informative podcast that is useful to both new and experienced Linux users. I have decided to give Linux another shot, I knew I wanted to do something other than Windows a long time ago and tried Linux (then Red Hat and Knoppix CD). I just didn't get it! Now for the record I'm no technical dumb-dumb, I have a Computer Science degree and I am A+ Certified (not then but basically the same level of technical understanding). Long story short I discovered the magic of Mac & OS X and for the last 7+ years I have exclusively used Macs in my personal life (we all work on Windows @ work right!). That said, I still love my Mac but I have started to become bored with the day-to-day use of OS X and started looking back at Linux and other Open Source tools. To help me get back up to speed I started seeking Linux podcasts; this is one of the first I found and after listening to many "and I mean many", this is still one of the best. 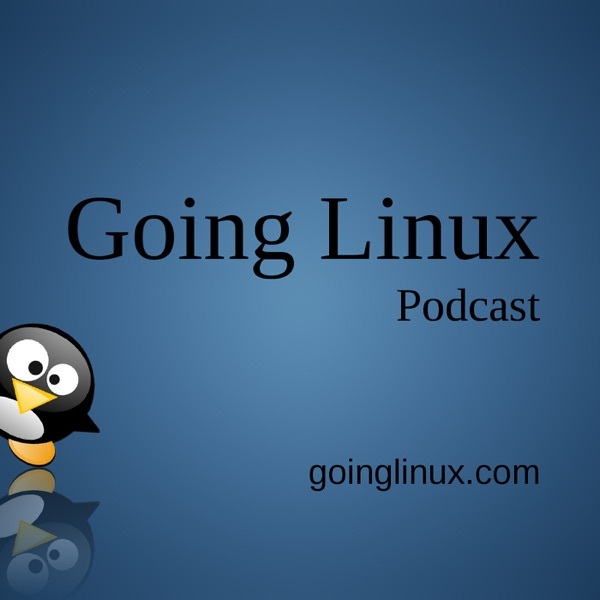 The Going Linux podcast is a nice balance of fun and information. Now the cheesy: the one thing that makes me cringe each and every time I hear it (literally) is when the co-hosts say "hi" and repeat the name of the caller, as though they are at an AA meeting, that my friends (IMHO) is so CHEESY! Other than that, I absolutely love the show. I am looking forward to more shows and learning more about Linux. Thanks for all you guys do and keep up the good work. the podcast is a good balance of techie vs newdie info that appeals to anyone. the sound quality is much improved but... every time y'all open the podcast you read off the 10 min description of what it is! i get it! but other than that great job, they're the best one on iTunes i have found so far! Has helped me a great deal! I am new to Linux, just in the past 6 months have been trying it out. This show has been invaluable to me, introducing me to things like backups in linux, email clients, etc. For someone who is just getting into linux or just curious about linux, this is certainly a podcast you should give a listen to. You won't be disappointed. I am not a day to day Linux user, but I enjoy listening to this podcast very much. They do an excellent job explaining things.